A bishop is putting it up to the GAA, saying Catholic churches are still a bigger draw than venues nationwide such as Croke Park, Semple Stadium, and Páirc Uí Chaoimh. Bishop Brendan Leahy of Limerick said: “Despite everything, we have discovered that 78% of our population still declare themselves Catholic. Speaking at an Easter ceremony in St John’s Cathedral in Limerick, Bishop Leahy said people still come to the “big matches, as it were” — Christmas Mass, funerals, and major events. He said: “They keep touch in various ways… And yet, we also know it [census figure] does not at all correlate with the numbers that actually practise their faith in terms of attendance at Mass. 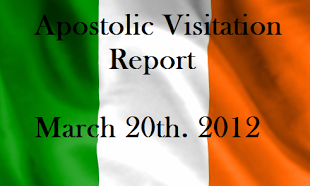 “Before he left Ireland, the papal nuncio, Archbishop Charles Brown said there is still so much to play for in Ireland. Perhaps that’s why there is such a struggle going on. “Because, with 78% associating themselves with this faith, it is clear that, while we have in many ways failed them, the door is still open to engagement around the Catholic faith that still is recognised as part of personal identity. Bishop Leahy said that at a time like this, with the Church facing severe challenges, we need to be wary of quick solutions that can be proposed in response to those challenges. “They can often leave out of their reckoning the necessary process of healing that takes time. We need time to notice wounds, admit them, bandage them, and ensure that those wounds are no longer inflicted,” he said. “And yet, if we keep picking at the wounds, they’ll never heal. We also need to make sure we recognise the parts of the body that are working well, that are doing great good.